Project lead and Senior Designer. This $2.9 mil project had an aggressive nine month construction window as well as numerous cultural hurdles and marketing strategy redesigns. This Indian company of 12,000 employees wanted to attract buyers by buiding a world class headquarters in the heart of Silicon Valley. The client was acquired by Alltran for a record setting price one month after completion. As a contractor, I successfully redesigned the Apple Certified worldwide training program for Logic Pro. Then they created a fulltime position for me in Hollywood. My job description was “find the top 1% of music and audio creators in the world and see what they need.” I made contact with over 100 VIP’s and distilled their feature requests into actionable objectives for the software development teams. I also worked across multiple teams and established a first ever Apple trade show presence in electronic music creation markets. 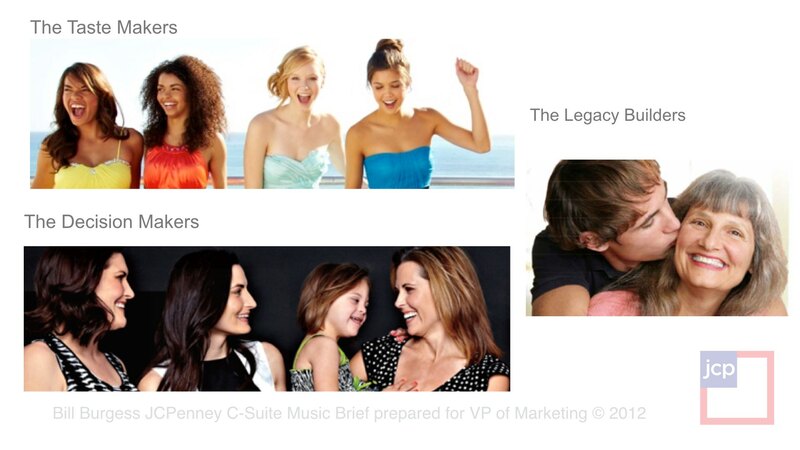 Engaged by JCPenney VP of Marketing to rethink “how we use music” brand wide. 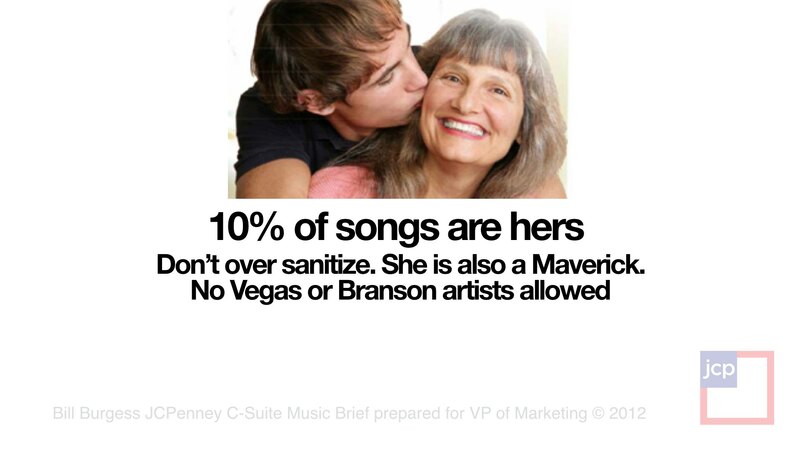 Wrote music usage point of view brief for C-Suite executives. Researched retail music usage and obstacles to integration. 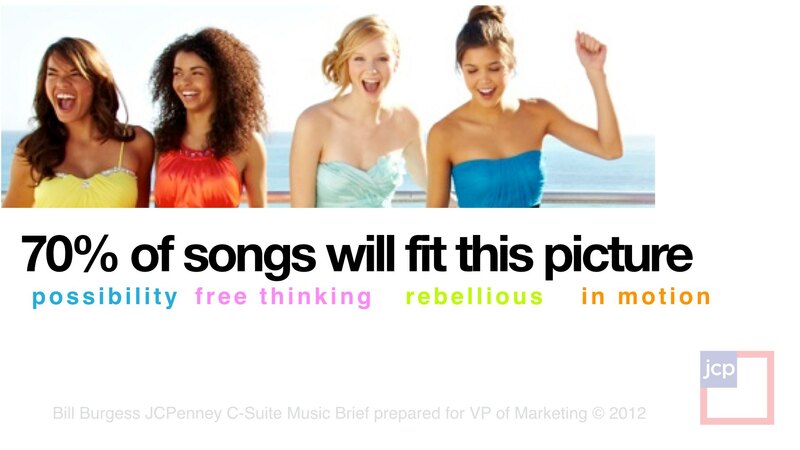 Established in-store music usage proof of concept and analysis of typical customers. Recomended against use of music zoning and music as employee radio concepts. Functioned as brand wide interim music supervisor for 7 months, briniging contracted music vendor into tighter alignment with agency of record and internal marketing.